Our main service is providing Highway Departments and contractors with NCHRP 350 (Now MASH) crash-test approved swing-away mailbox supports at a discount. We offer a wide variety of products and accessories that fulfill the unique needs of our customers. We also provide installation services as a subcontractor on Federal, State, County road projects. For a swift quote please click the green button below. All of our standard swinging mailbox supports are approved by the FHWA (See SwingSAFE FHWA Letter of Approval), are made of commercial grade steel, and utilize our advanced swing-away design. Our products are galvanized after all modifications are completed so there is no bare pipe exposed that will rust. We also "clean" all excess galvanizing off our product so every hole is clear from obstruction and that the product swings freely. Products may be purchased with green treated wood, hardware and paper tube bracket. 1 Pre-Cut, Green-Treated Board (2" thickness). 3 Sizes Available. ​1 Hardware Installation Kit (Sealed bag with all install hardware). 1 Free Paper Tube Bracket for Every 2 Supports Purchased. 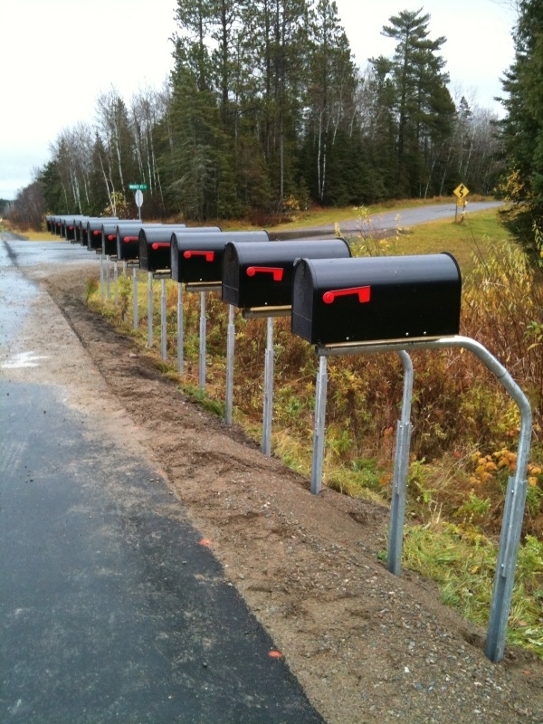 The MN Standard 9350A is approved for installation on any road that is a part of the NHS (National Highway System) and is recommended by Mn/DOT and the FHWA (Federal Highway Administraton) for any situation when public offices replace resident mailbox supports. Standing 53" tall, the product comes with 2 different reach optons: 36" (standard) and 48". The product has an optional anti-theft chain (not a safety feature) that comes standard with the unit, but can be ordered without the chain which will reduce the product price. Two tabs are welded on the top arm, which allows a wood board to be easily attached. 1 Pre-Cut Green Treated Board (2" tall). 3-Sizes Available. In July of 2011, the SwingSAFE Swing-Away Mailbox Support received approval from the FHWA (Federal Highway Administration) as a NCHRP 350 crash-test approved device. We developed this product to be an alternative to the MN Standard 9350A. It is easier to install and more affordable. We have shortened the standing height of the support (in comparison to the MN 9350A) to eliminate the need to chop off excess material at the base or dig it into the earth. 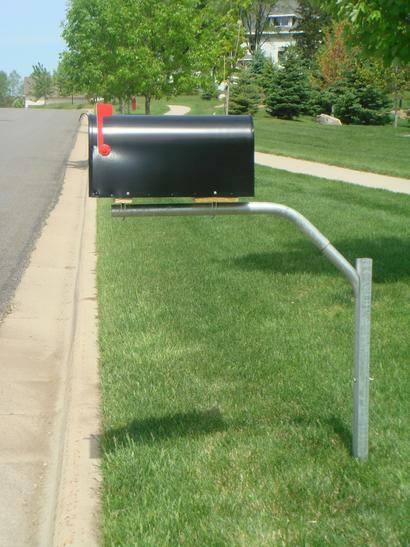 On flat ground or in deep ditches, the SwingSAFE Swing-Away Mailbox Support is perfectly designed for easy installation that meets USPS recommendatons. All Required Hardware and Easy Installation Directions. 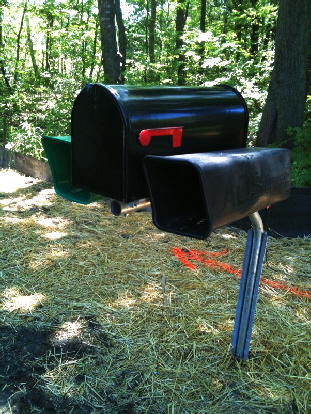 Paper tube brackets are critical components to swing-away mailbox support design. Our paper tube brackets can easily be screwed onto any mailbox support in a matter of minutes. 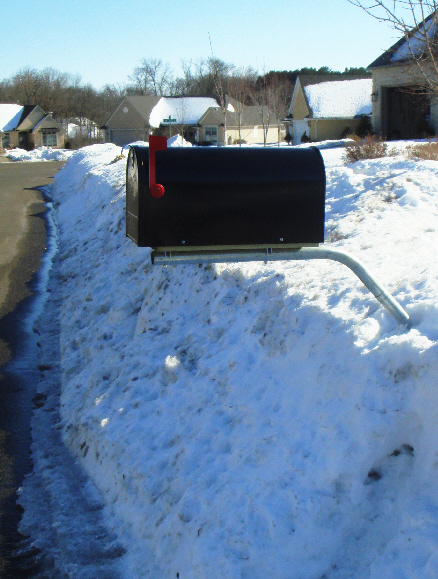 Most Highway Departments prefer to use paper tube bracket because they allow the snowplow to flow directly under the swing-away mailbox support. They also don't inhibit the mailbox support from swinging freely in either direction; like what typically happens when a seperate post is installed on either side of the mailbox. 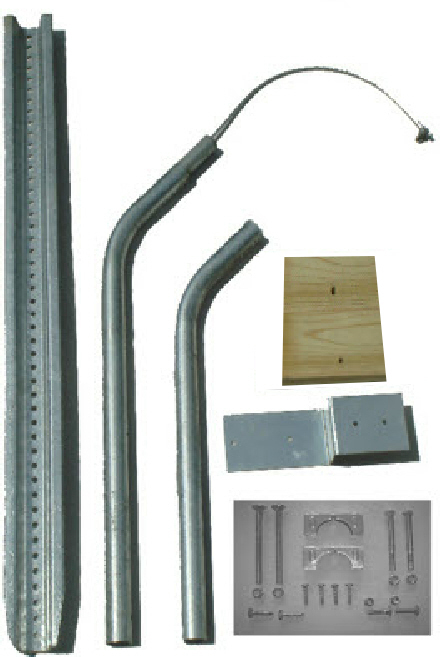 Our paper tube brackets are made of galvanized steel and come with all necessary installaton hardware. 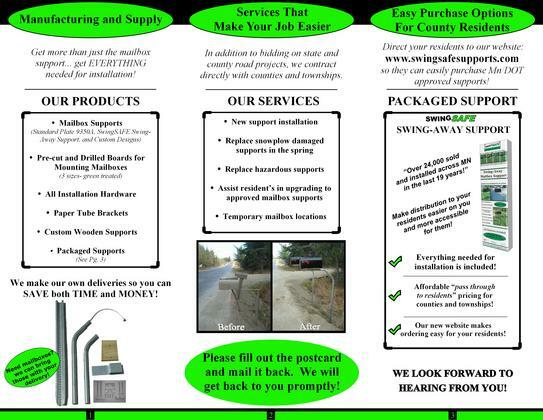 Email us at swingsafemailboxsupport@gmail.com For a Quote Today!